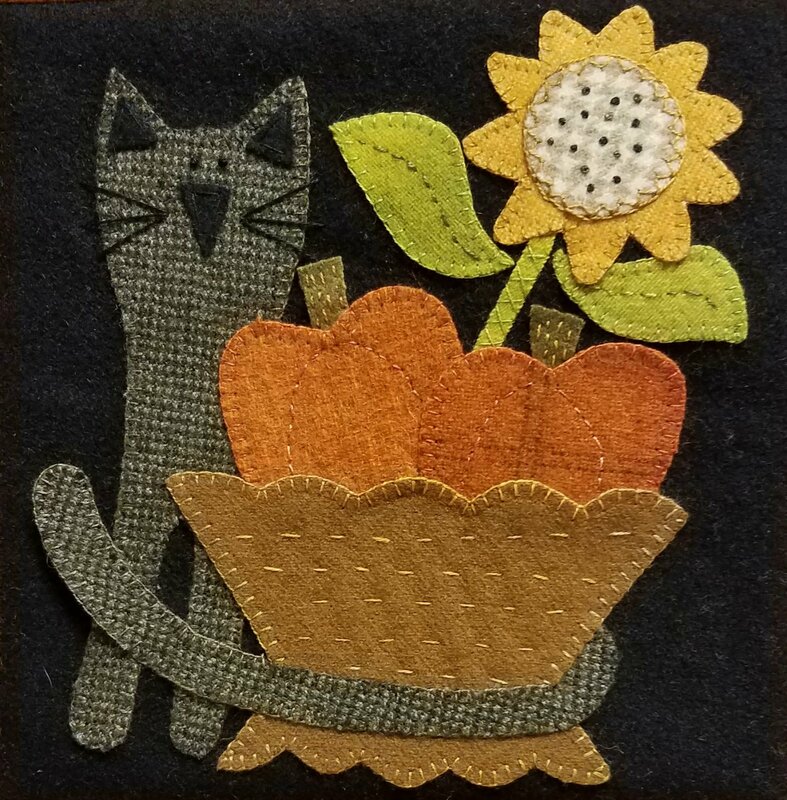 Wooly Block Adventure -- Harvest Basket Love stitching with woo, our wooly block is available now. The theme " Harvest Basket " has been captured wonderfully by Cheryl Gunn of Waltzing with Bears. Your block will bring back fond memories of wonderful fall activities. Not making a quilt, no problem; a simple binding will finish this block. Put it in a shadow box and you have the perfect mini quilt. Kit contains the wools and pattern, ready for you to add the finishing touches.